umm... m6m... this might just be me but, i wouldn't buy it if i didn't know what it was... and if this guy went to the trouble to import it from germany then i'm guessin he'd have a pretty good idea of what it is. lol. but, i don't have the slightest idea as to what it could be... i'm guessin bavarianwheels would know tho. u could try to give him a Private message. sorry i couldn't help. &lt;---doesn't have the slightest idea...a pic might help. But it sounds like someone might've put custom lighting on the car...who knows. i just kinda figured you might know considering u r such a diehard Bimmer fan. could it be an M1? yeah cuz we NEVER see M1s in the U.S. and i dunno- i just looked for an M1 picture, not a specific year. 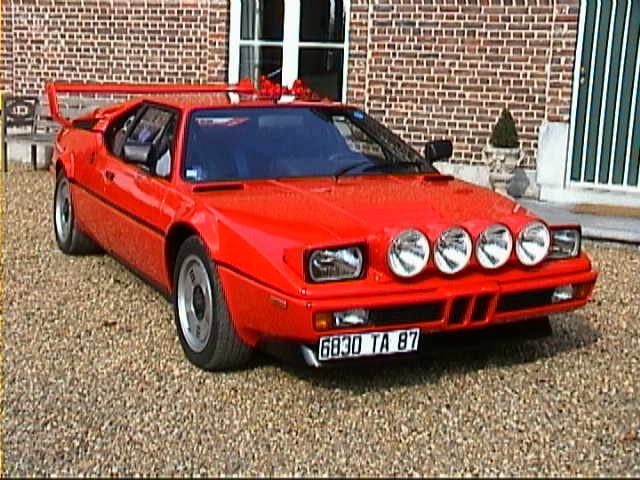 i can check out what years the M1 was sold though. ill get back to ya when i do that. i think i just found out the name, but to me it doesnt sound like a name bmw would have given, but hey, im not sure... it said "twotone"
Looks like a 3 series....but anyone that defaces a Bimmer like that...surely has no idea what they are doing...I'd rethink the sale.